On Labor Day weekend, Greg and I decided it was time to make a change. We moved into our house about a year and a half ago, which means that we have been living in a toasted almond world. Every room of our house (save the blue kitchen and the peachy bathroom) was painted the same beige-ish shade. It looked very nice. And very impersonal, which I suppose is what you want when you’re trying to sell a house. We painted the nursery yellow before the kiddo was born, and we decided that the time had come to make our house even more homey. 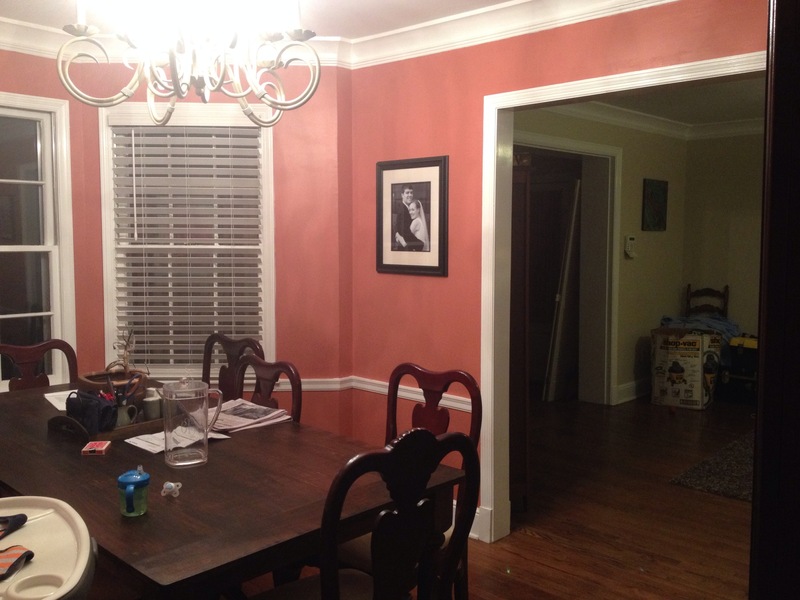 So we painted some swaths of color on the dining room wall and decided to go bold. Really bold. [I generally shy away from intense color. I really dig earth tones, but for some reason I’ve always thought “earthy” meant subdued.] We ended up choosing American brick by Valspar, which is about as far from toasted almond as we could go. It took an entire day of painting, but I’m quite happy with the end result. Completing the process of making the room “ours,” we also moved the chandelier out of the den and into the dining room. 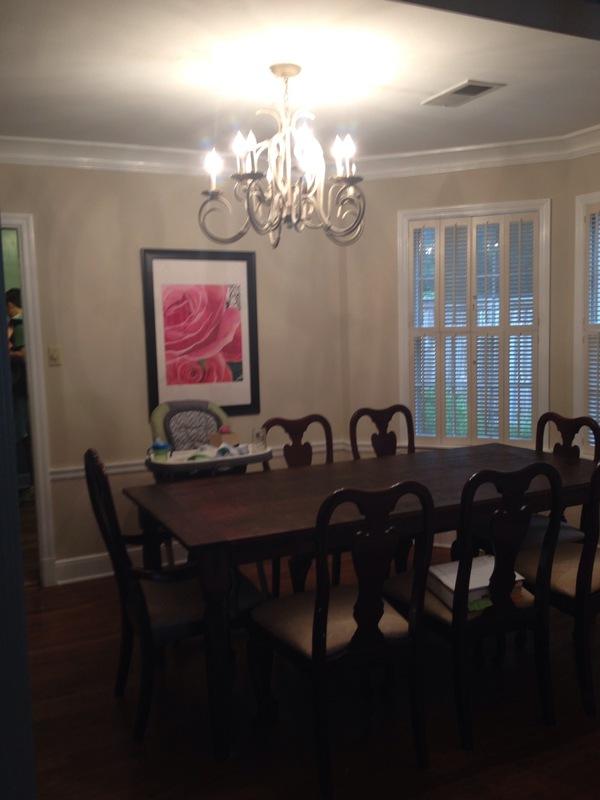 We removed the plantation shutters and replaced them with cordless plantation blinds. 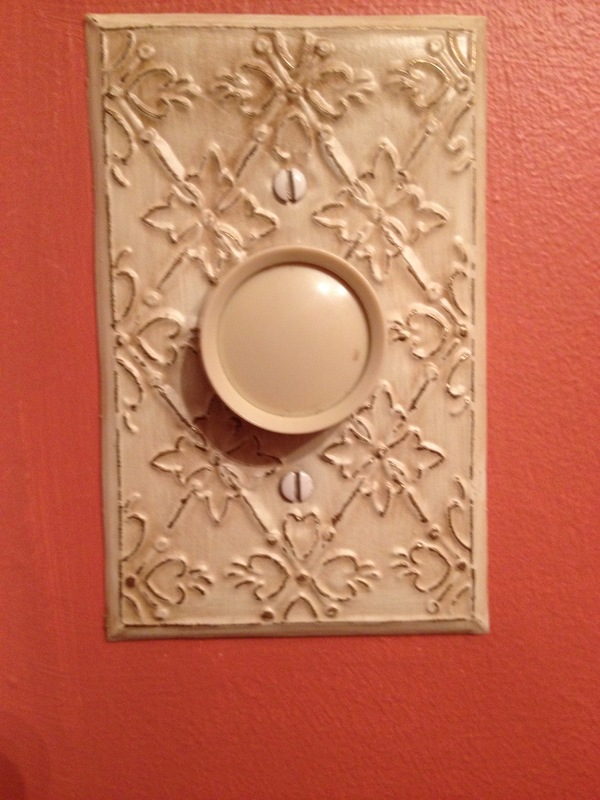 We also replaced the switch covers. It’s a big, bold change, and I love it.